Check out this excellent, in-depth and typically humorous interview with the man himself in Guitar Exchange magazine. Many thanks to journalist Paul Rigg. The UK tour is underway – thanks to everyone who has attended shows so far! Here are a couple of excellent new in-depth interviews, specifically in support of the Southampton (March 9th) and Newcastle (March 15th) dates. Enjoy! Need a little reading matter to round off the week? 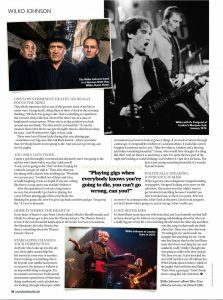 Here’s a lovely interview with Wilko in Guitar World. Thanks to Mark McStea for spreading the ‘Blow Your Mind’ gospel across the pond! 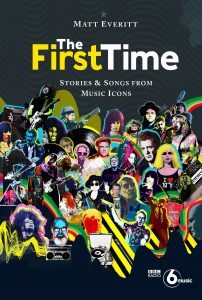 Wilko is one of 40 of the world’s most esteemed rock legends to feature in the fantastic new book ‘The First Time’, a collection of interviews by BBC Radio 6 Music star Matt Everitt. Other contributors include Blondie, Yoko Ono, Alice Cooper, Pete Townshend… it’s essential! Check it out! Now here’s something we can believe in! We love this feature and hope you do too. Words by Ian Fortnum. 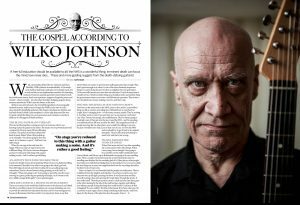 Great Wilko Johnson Feature in Q Magazine! 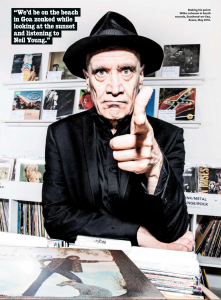 Snap up a copy of the September issue of Q Magazine to check out Wilko Johnson on ‘The Albums That Changed (His) Life’! Expect Van, Bo, The Doors… and a lovely mention of Southend enigma Mickey Jupp. Listen to Wilko on Marc Riley’s ‘Manic Q&A’! 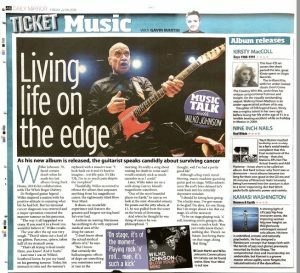 Great new interview feature with Wilko in the Daily Mirror, courtesy of Gavin Martin. Pick up a copy today! Wilko featured as a guest on the Robert Elms show earlier – listen again here! And we are happy to report that ‘That’s The Way I Love You’ will be Jo Good’s Record Of The Week on her BBC London show next week!